Compare the Cavalier King Charles Spaniel to the Shih Tzu. 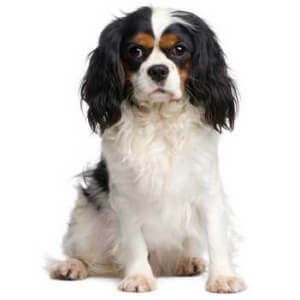 Use the tool below to compare temperament, size, personality, maintenance requirements, and everything else between Cavalier King Charles Spaniels and Shih Tzus. Owner Experience - Both the Cavalier King Charles Spaniel and Shih Tzu are excellent choices for new or inexperienced owners. 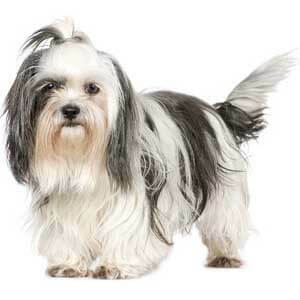 Children - Both the Cavalier King Charles Spaniel and Shih Tzu are great with children. Grooming - The Cavalier King Charles Spaniel is very easy to groom. The Shih Tzu has very high grooming needs. Barking - The Cavalier King Charles Spaniel has an above-average tendency to bark, while the Shih Tzu is an average barker. Lifespan 9-15 yrs. 10-15 yrs. Height 12-13 in. 9-10 in.